You’ll love the real touch feel of our artificial iris flowers here at Koch & Co. First choice for quality and affordability, we make our artificial flowers with only the finest quality materials so you can guarantee you’re getting the very best value. The iris flower interestingly shares its name with the Greek Goddess of the rainbow and blooms in the spring and summer seasons. However this doesn’t mean you can’t enjoy the beauty of the iris in winter and autumn too - when you buy artificial flowers you can enjoy all floral species at any time of the year! With Koch & Co’s collection, you can choose from a variety of colours, such as deep purple, white, pink and burgundy! 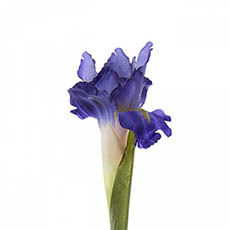 Though unique in shape, the iris flower is truly beautiful - especially with such dainty petals and vibrant colours that stand out in any space. 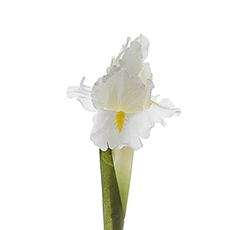 Effortlessly create lovely floral arrangements with Koch & Co’s collection of faux iris flowers. Because of their size, iris flowers look best when paired with other artificial greenery or larger blooms, such as hydrangeas or lilies. 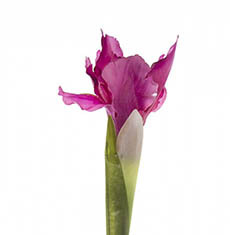 You can also use silk iris flowers to add texture and dimension to bridal bouquets and wedding decorations! Love having fresh flowers in your home but get disappointed when they wilt? Artificial flowers are your new go-to when it comes to home décor. Pick out your favourite vase, add in some other artificial flowers and voila - you have a perfect, eye-catching centrepiece. Head to the Koch blog for more inspiring DIY ideas (you may even find some other goodies to add to your basket). 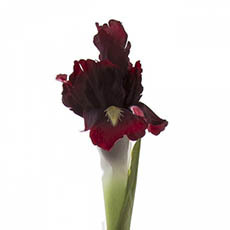 Shop silk iris flowers, artificial orchids, artificial flower bouquets and more online from Koch & Co today.